Ashley J George | AD-ventures of a Creative: Fashion Friday: FAN!!! Again, here's to my awesome co-workers who participate in office shenanigans. Today's fashion friday was fan friday. The goal was to represent things/shows/teams you are fans of. 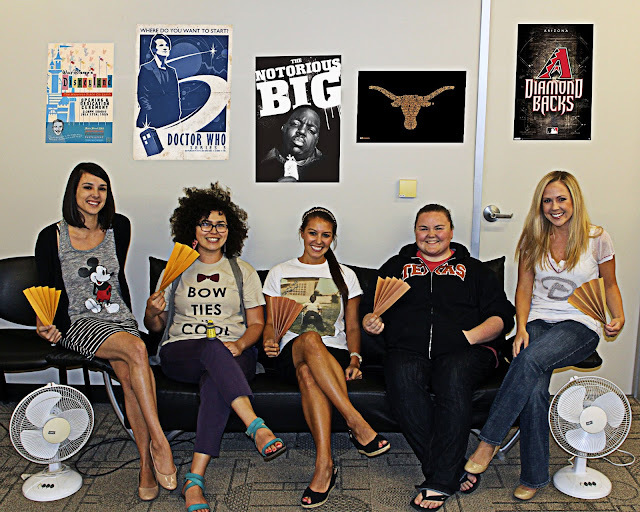 Here is Phoenix, we are fans of a lot of things but we love our office fans the most.